you satisfied and your tastebuds BUZZING!!! 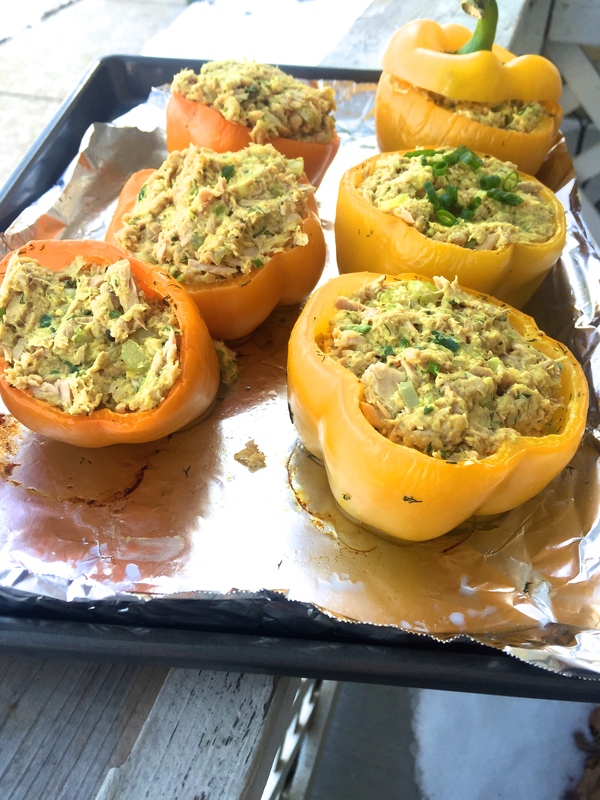 It’s time for another delicious tailgate recipe… In case you haven’t been tuning in to my weekly recipes check out these posts too! Tailgating Challenge: To bring something healthy to each tailgate all season to help fuel myself and my friends with some sort of healthy nutritionally rich food! I’m not following any diets or sticking to 100% clean foods just making a healthy option for everyone. Last week we were in Michigan for the game against Northwestern & our first afternoon home game of the season. I was thrilled that we got to sleep in a little bit & go to the farmers market to buy fresh produce before the game. Our tailgate theme was Kebabs and things that go with them. I decided to make a dip of sorts to complement the kebabs. 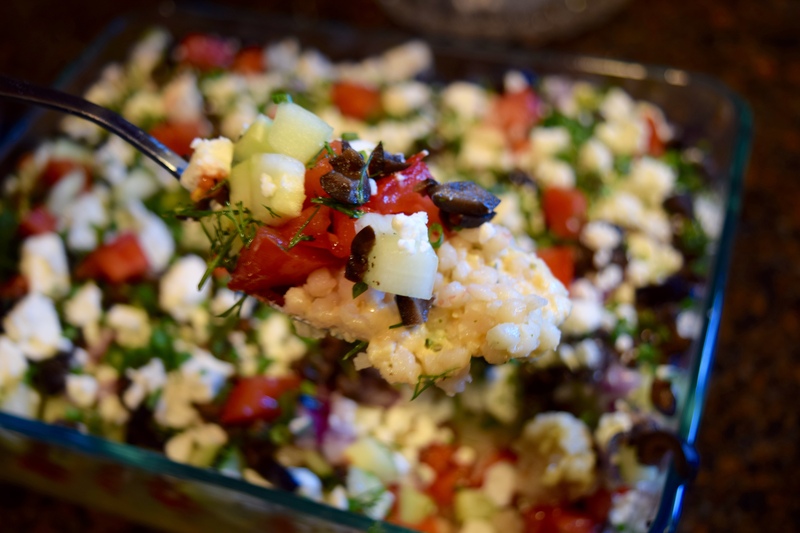 When I think kebab I think Mediterranean flavors and lots of fresh veggies so I decided to go with those two ideas into a blended delicious dish! 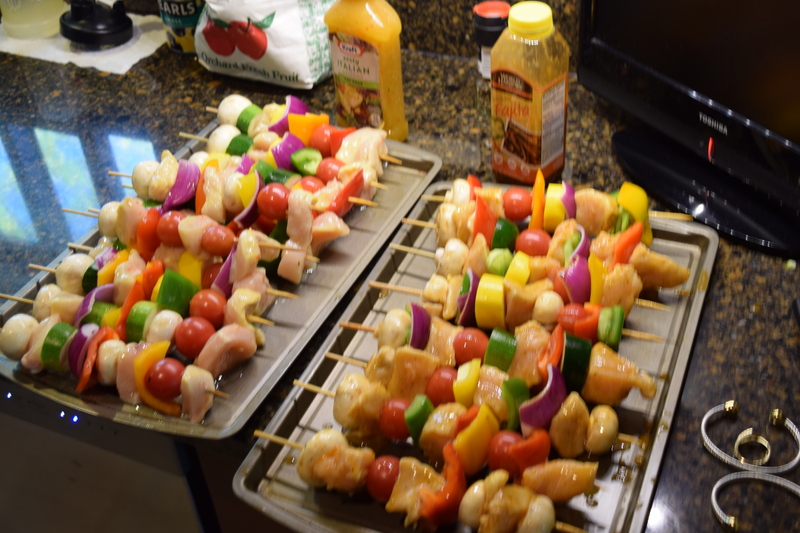 Kebabs before they hit the grill! I wanted to do a little more than just hummus and veggies AND I wanted to stay away from a yogurt/cream layer since we were going to be outside all day and I didn’t want it to warm up too much. 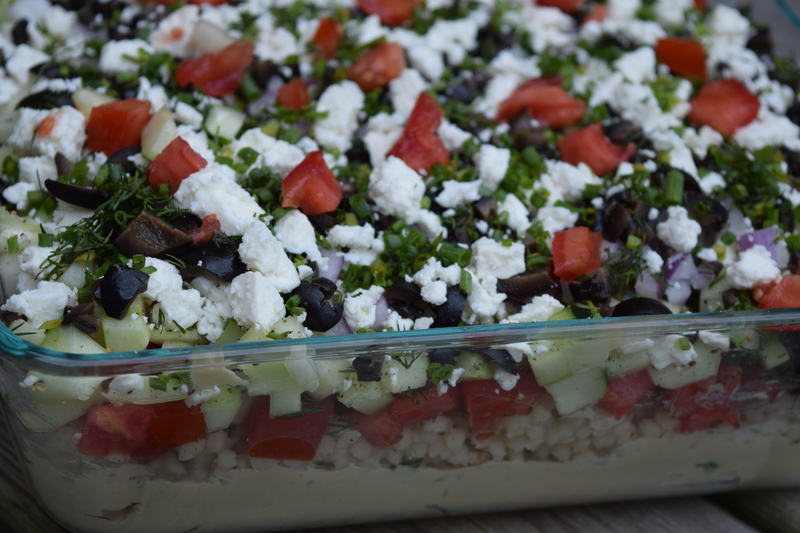 So I beefed up the dip with a layer of Israeli Couscous & it was a brilliant idea. I mean look at all those layers! Starting with Sabra original hummus I layered everything in a high-walled baking dish, I think mine was a 8×11 dish with 3in walls. 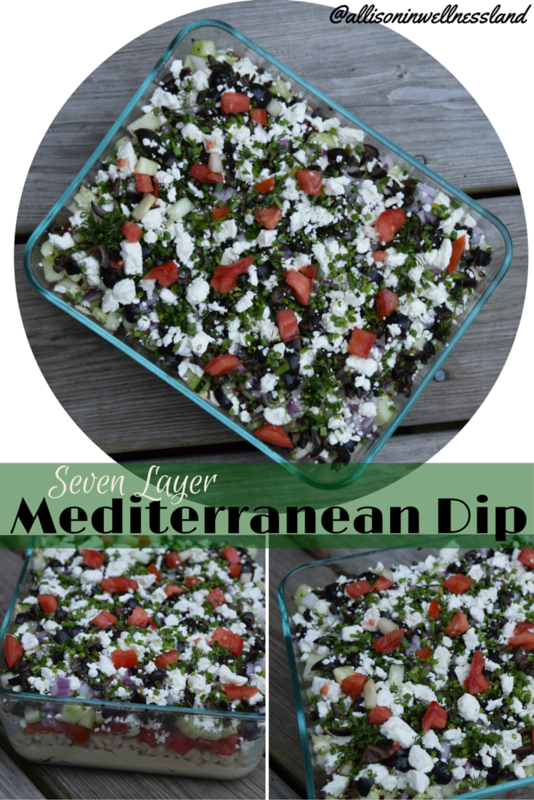 This dip was a HUGE hit! It was so fresh and seriously delicious. I thought it was good & my dad said it was good but he is always going to complement my food, well almost always, but when 4-5 people came up to me and said they really liked it… Then I knew it was a success! I cannot wait to make this again for the next party that I have to bring a dish to pass. I hope you enjoy it as much as we did! Sorry I slacked and never posted my tailgating challenge recipe last week. 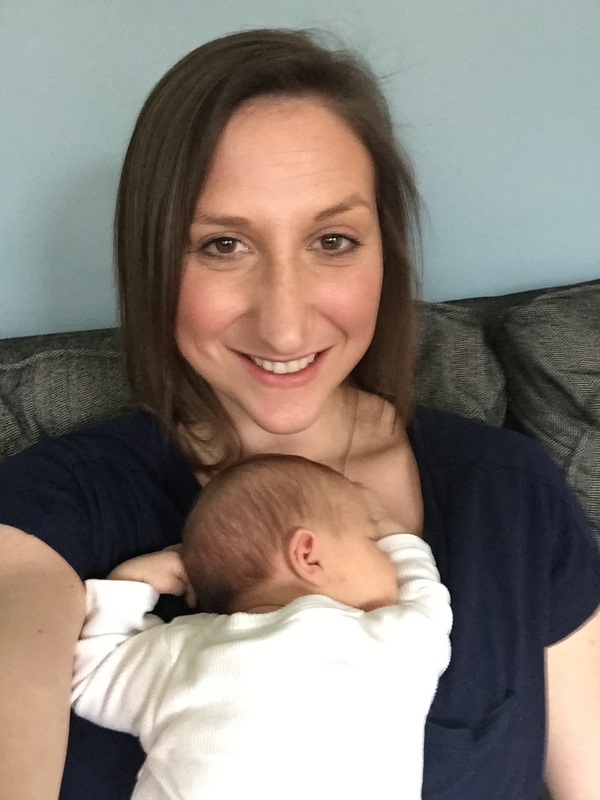 Like I said on Monday my work schedule changed and my blogging time was cut short. 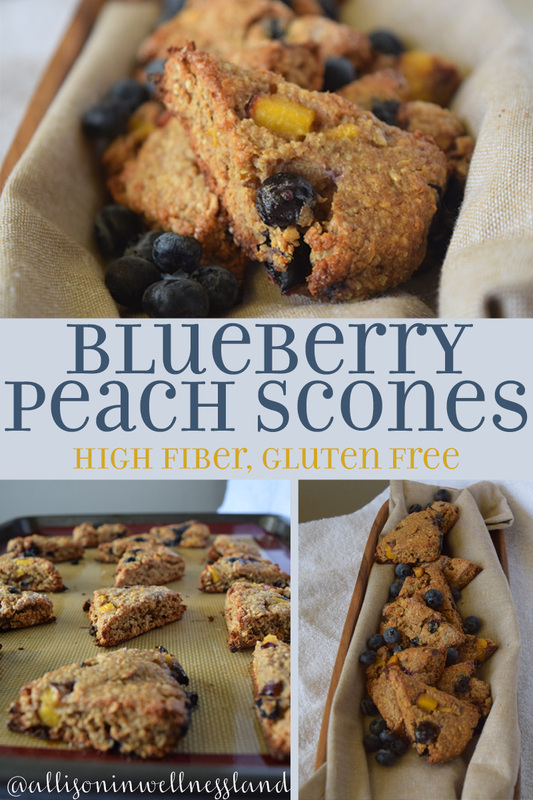 Enough excuses I am here today to share a delicious and EASY recipe for you! For the third home game of the season we had another morning game and well to be honest we were all over breakfast. So instead of having another breakfast themed tailgate we went for a lunch and had Chili Dogs with all the fixings. 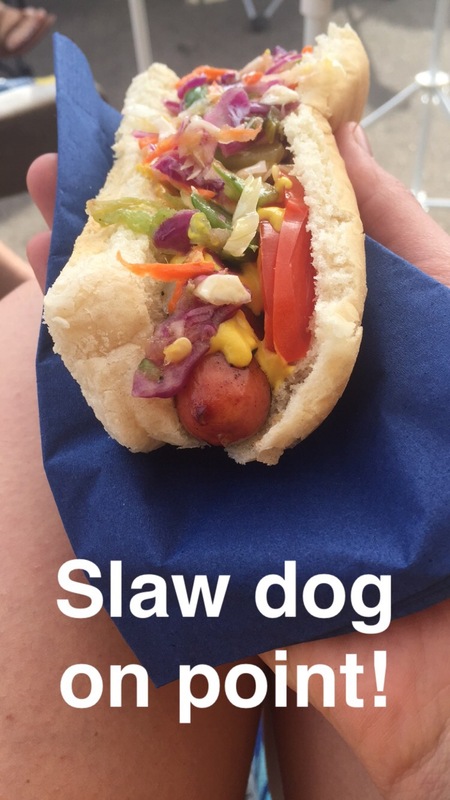 I decided to make a coleslaw for the occasion, but coleslaw from a restaurant where you would get a chili dog from is not the type of coleslaw I enjoy. Im not a huge creamy dressing person and often feel like the coleslaw at restaurants is just watery, bland and blucky! So I was determined to make a flavorful slaw with a vinaigrette dressing rather than a creamy sauce. 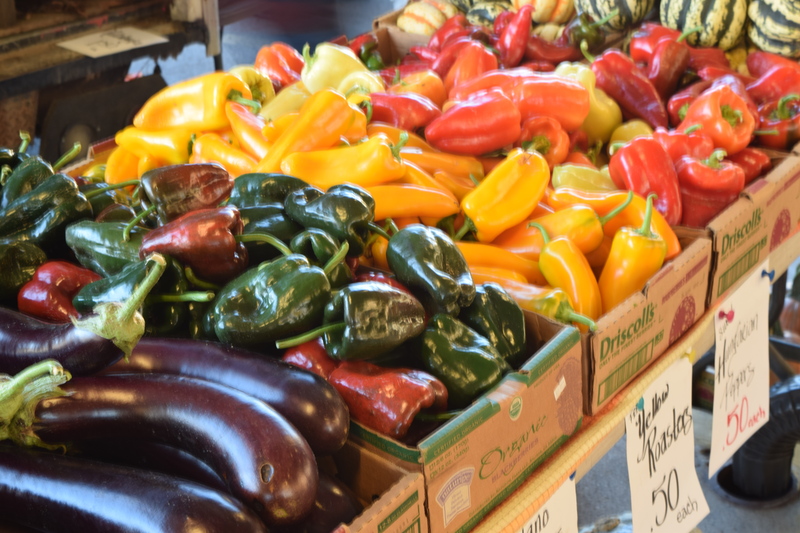 I got the basics and then got inspired when I saw the Jalapeño & Poblano peppers in the produce section. 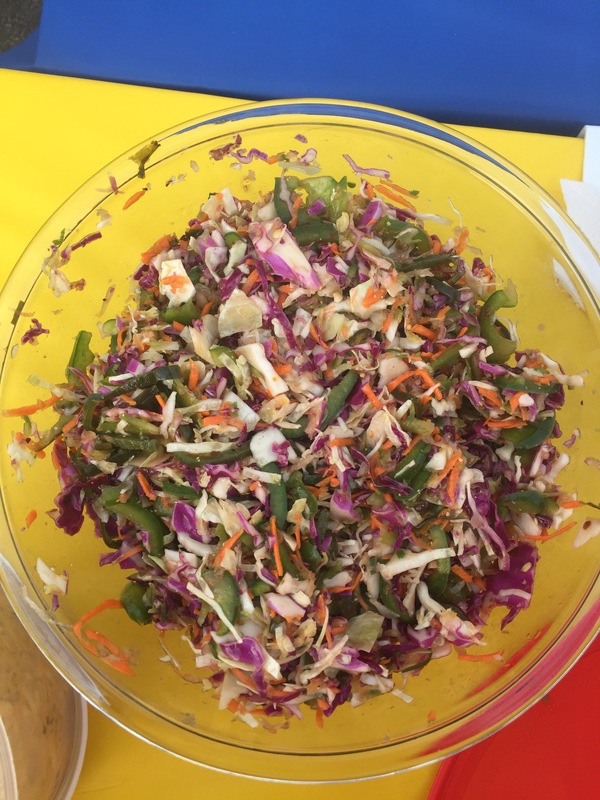 A spicy slaw with a sweet and tangy sauce sounded PERFECT! The slaw comes together really easy with the use of your food processor, if you don’t have a food processor it will take a little more elbow grease but won’t take that much time. I didn’t measure the vinaigrette… blogger fail… so the recipe is the basics…play with the flavor until it tastes good to you! So there you have it! 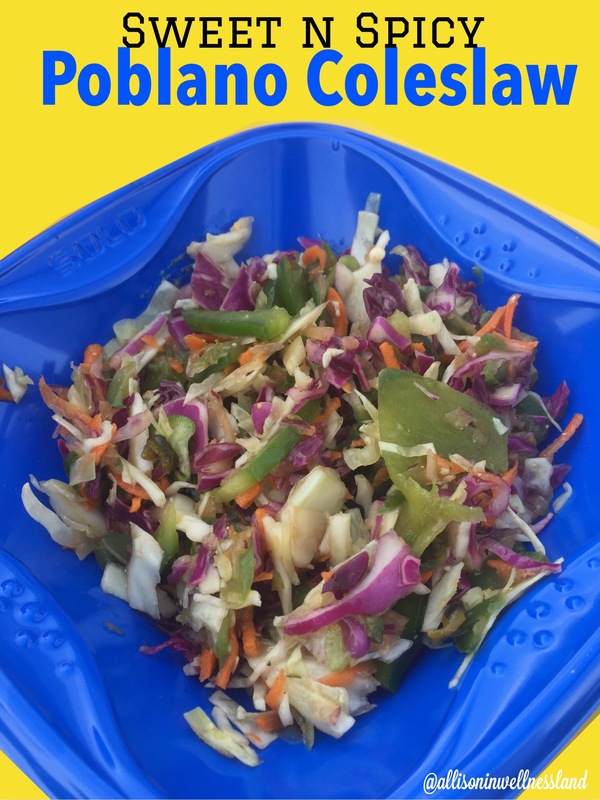 A fun twist on the traditional coleslaw! I highly recommend it topped on your hotdog for an extra crunch. We are off to Michigan again this weekend for another fun filled weekend and I CANNOT WAIT!! Plus I need to think of a grilled kebab companion recipe, so if you have any requests let me know! For the second game of the season and another morning tailgate we decided to do a breakfast theme round 2, but this time we ditched the egg burritos & carb load with Belgium Waffles. well… heres the thing, my grandma once owned an ice cream & sandwich shop which apparently made waffles as well, it closed when I was really little so I have vague memories of the place, and my dad found the waffle mix that they used to use on Amazon. So we decided to have TWO waffle mixes & do the battle of the waffle batter! For my waffle mix I basically used my daily protein pancake recipe, multiplied it by 5 and WAHBAM waffles for a crowd! 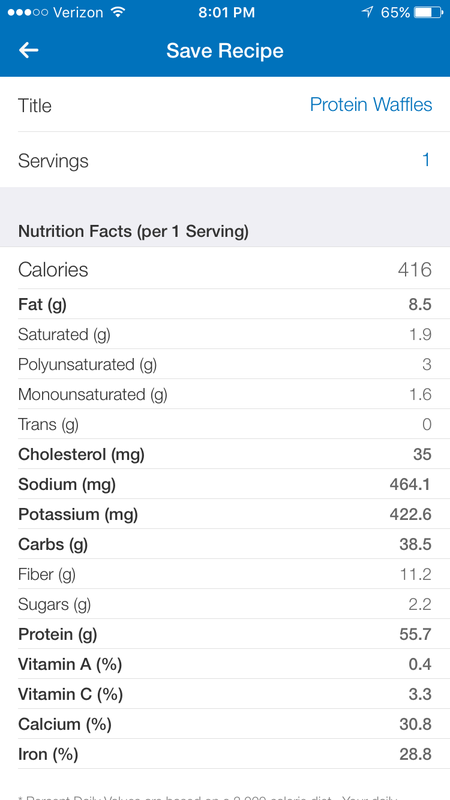 The best thing about this recipe are the stats!!! YOU GUYS you can eat TWO of these, seriously filling, waffles for a whopping cost of 416 calories AND get 55g of protein to start your morning off. Like seriously the macros on this are on point & made it the perfect tailgate food. Plus because the waffles are so good for you that dollop of cool whip that happened to make its way on your waffle is totally guilt free! A waffle is only as good as its toppings! 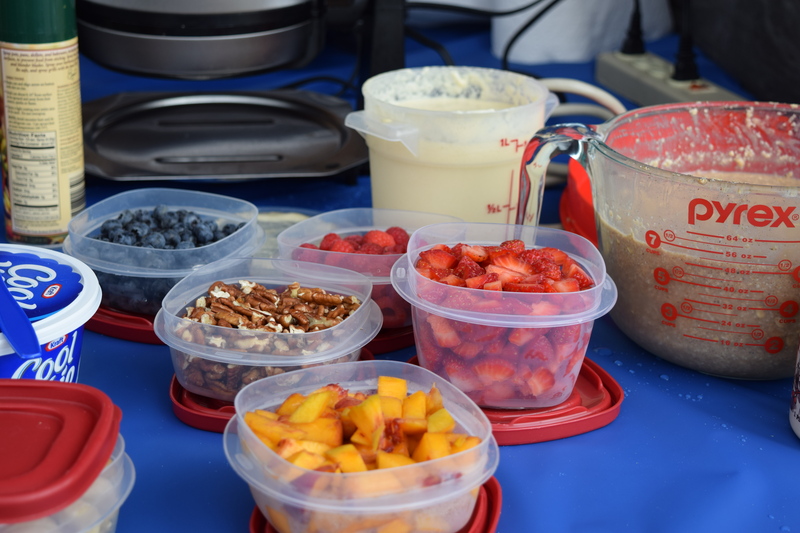 We loaded our waffles with fresh berries, homemade apple sauce, pecans, cool whip & Pure maple syrup. 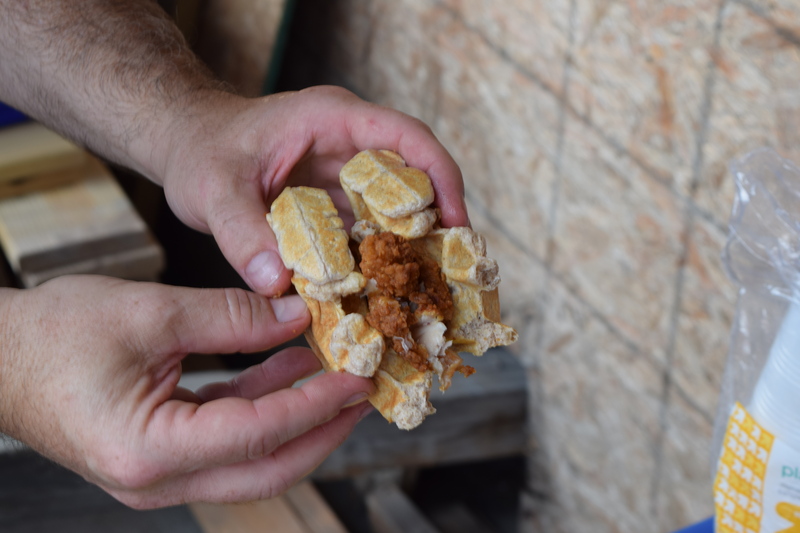 Some people even put a piece of fried chicken on theirs for a little morning Chicken & Waffles! OKAY so which waffle mix won the waffle throw down? Well I would say it was a tie. You can’t beat a nostalgic waffle that tastes just like the waffle you would get at a restaurant, they were so light & fluffy and slightly sweet with honestly the best crunchy exterior and soft interior ratio. 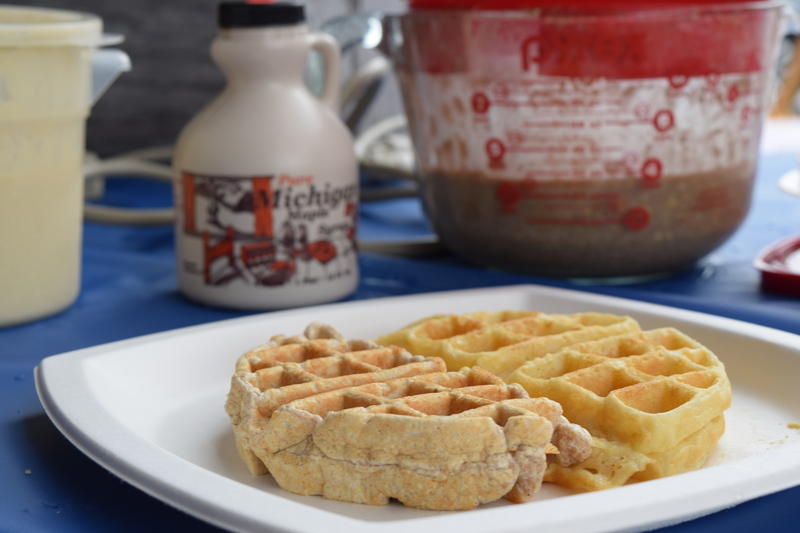 BUT these protein waffles were definitely a hit with everyone and the vanilla protein plus cinnamon & nutmeg combo made them slightly sweet but with a taste of fall in every bite. 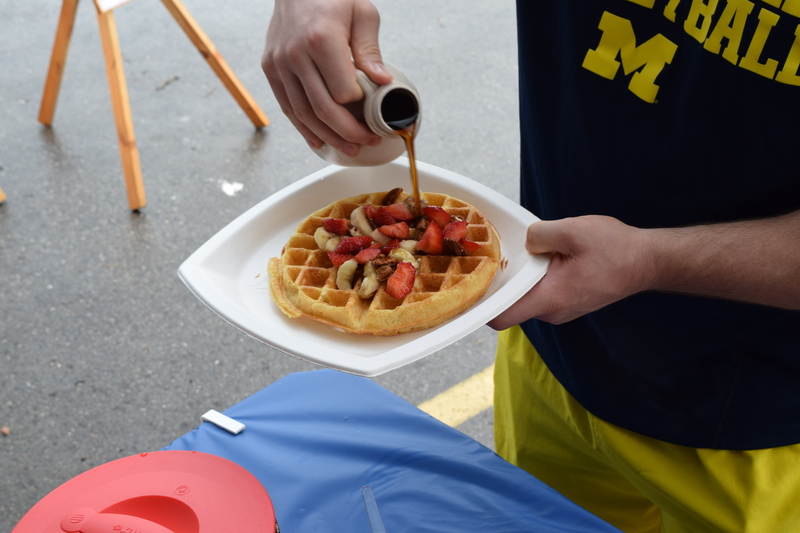 The next morning we had leftover waffles and did double-duty waffle making with 1/2 and 1/2 waffles, which was really fun & I wish we had done that at the tailgate to do a true house-divided taste test. 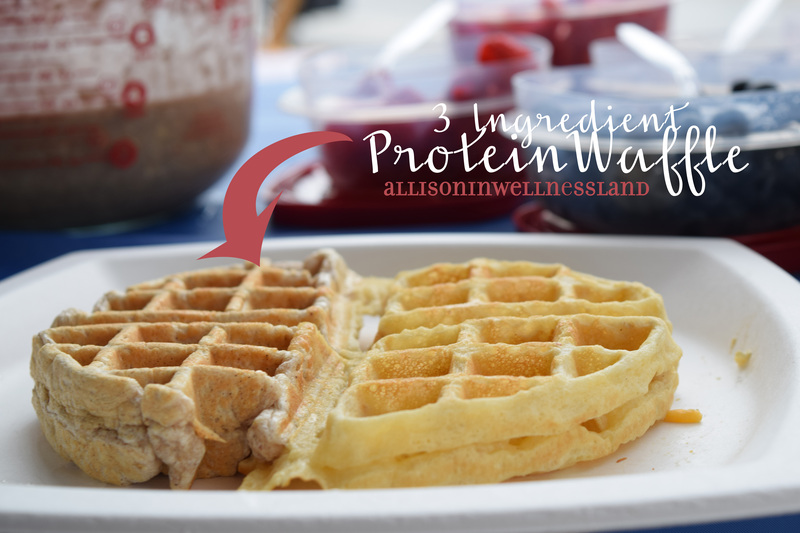 Needless to say they both rock but if you’re looking to have a fun breakfast without a huge sugar rush these protein waffles are definitely for you! Last week I shared that we have season tickets to the Michigan Football games!!! Woohoo!! This also means season tickets to a fun tailgate most Saturdays from now until November. 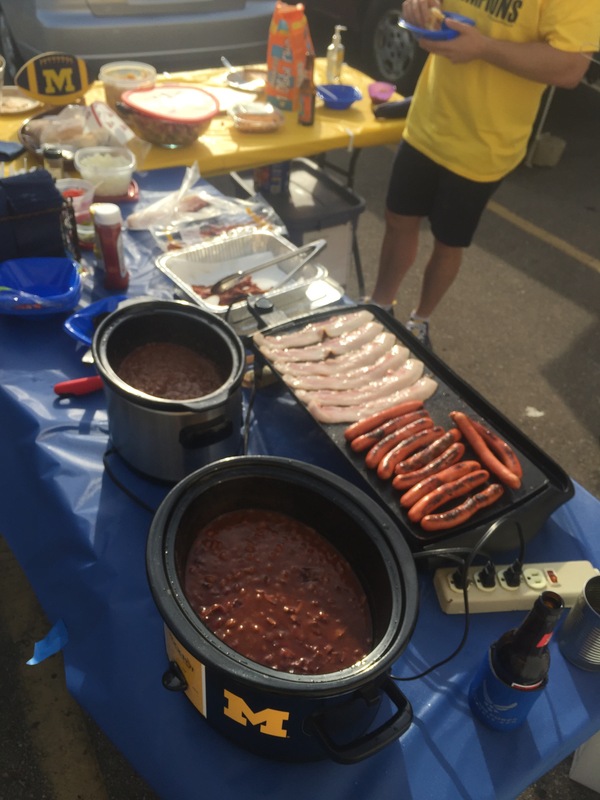 As you probably know tailgates are not really known for the healthiest of food choices and often are filled with fatty foods, lots of carbs, some protein, and lots of beer. While I have NO problem with those in moderation I have this problem of EAT.ALL.THE.THINGS when they are in front of me. So this year I decided to give myself a challenge. Since we will be at the game each weekend I am going to strive to bring something healthy each week. It doesn’t have to be 100% clean and definitely won’t be screaming “I AM SUPER HEALTHY” but I do hope to sneak some superfood, healthy fats, and complex carbs into the mix each week. By bringing one healthy thing to the tailgate, I hope to show our friends/family that you can enjoy and indulge in life while still having healthy choices around you that aren’t always a big bowl of salad. ALSO it will make me feel better to know that I made at least ONE healthy decision every Saturday! 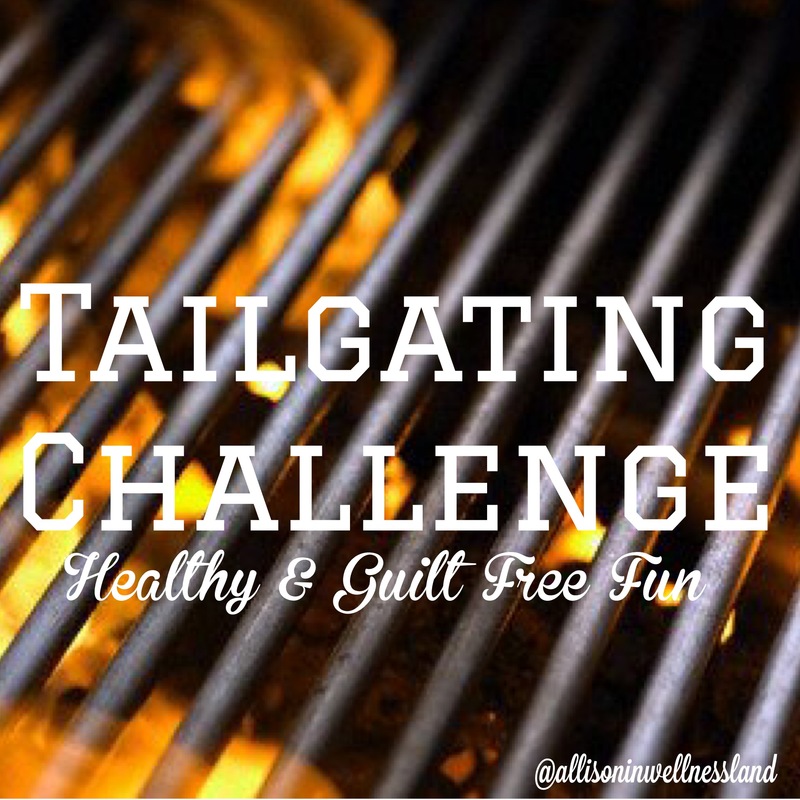 If you’re heading to a tailgate this fall join my challenge and challenge yourself to bring a healthy option! I hope that these recipes provide inspiration to you and your family too. The first week of our tailgating season we made Scones for breakfast. The problem was that we forgot them in Illinois so they did not make the tailgate. Have no fear they traveled with us for the second game, thankfully they were both morning tailgates! 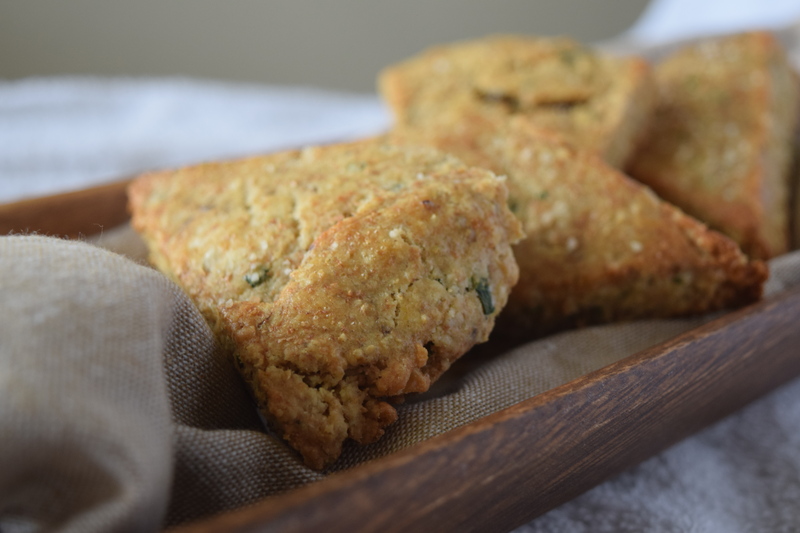 I also decided to make a savory scone by using The Dusty Bakers recipe for her Goat Cheese, Chive & Walnut Scones. I again used oat flour rather than the gluten-free cookie flour. My goat cheese was a bit warm so it didn’t crumble very well rather it is streaked throughout the dough which is kind of fun as well. I did not add any sugar to one of the batches that I made and enjoyed it without sugar better. Goat Cheese, Chive & Walnut! Since the games are EARLY and I would not have a lot of time to prepare the scones I made the dough on Wednesday, wrapped it in plastic wrap and then stored it in the fridge so it would stay fresh. My intention was to roll out the dough Saturday morning and bake the scones off. BUT because we forgot the dough that didn’t happen. SO on Sunday when I got home I rolled out the dough, baked some off for Brent & I for lunch, and then cut and froze the remaining scone mix. I froze the scones on the cookie sheet/cutting board for 2 hours then transferred them to plastic wrap and put them back in the freezer. On Saturday I woke up and popped them in the oven and bake them before we head to the tailgate. Then I tossed them in a glass Pyrex and headed out the door. I would definitely recommend rolling/patting out the dough and cutting the scones in advance if you’re not baking them off right away! 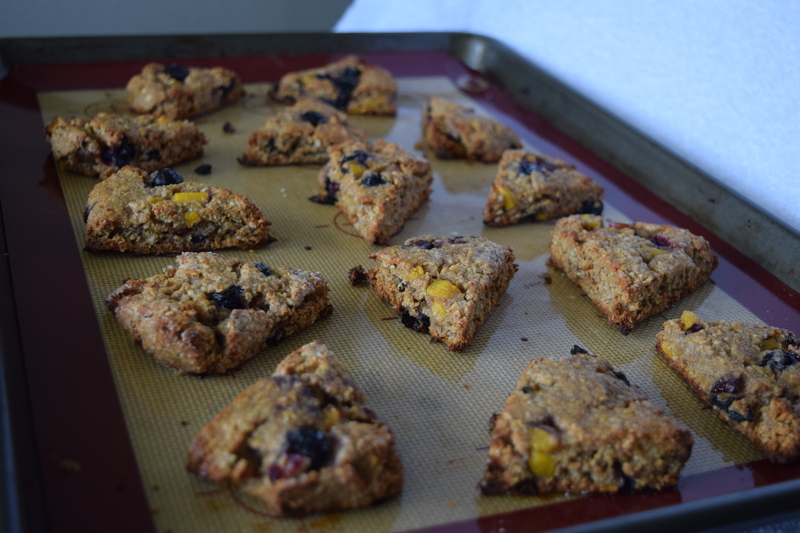 These scones were a HIT and definitely will be made again. I’ll be back later this week with my week 2 recipe! addition to any protein or salad that comes together in a snap! Last week Brent & I saw Mangos on sale for $0.40/mango!! We don’t usually buy them but they looked good and the price was hard to beat! 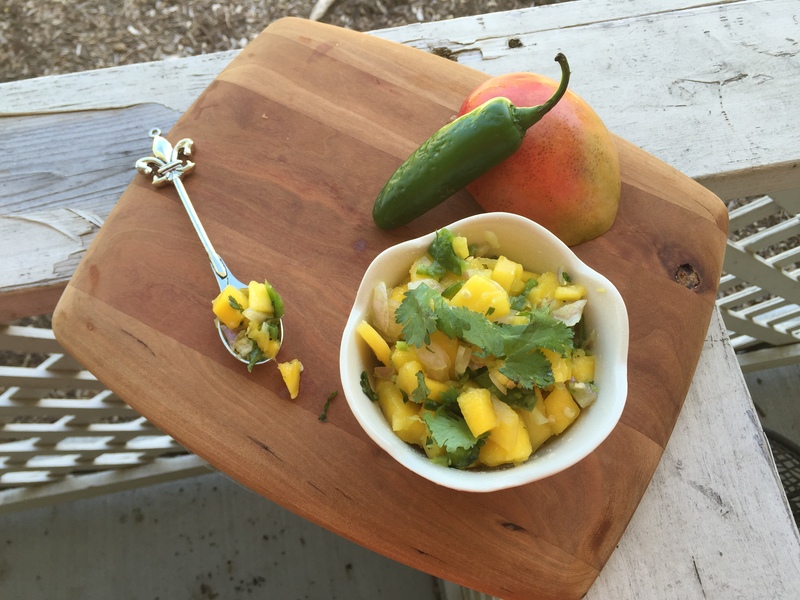 We decided to make a mango salsa to spruce up our boring protein that we have been eating lately. I grabbed a shallot, jalapeño for spice & cilantro because well salsa without cilantro isn’t really salsa in my book! I hadn’t cut a mango in a long time so the first one was a bit tricky but then we remembered to AVOID THE PIT! We also saw a Facebook Video-Hack about using a glass to get the mango flesh off the skin. We tried it to see if it was real life & y’all it worked wonders. You just take your mango slice & slide it down the edge of a glass to separate the skin from the flesh. You are then left with a glass filled with delicious mango flesh ready to be chopped into something wonderful! 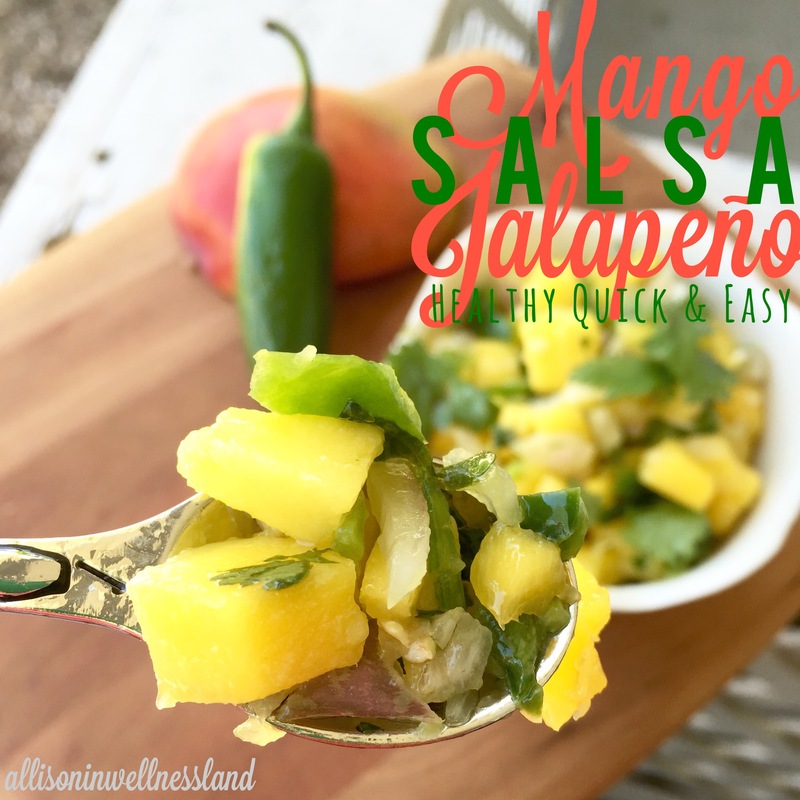 This salsa comes together super quick once the mangos are “skinned” it’s just a matter of chopping & dicing and stirring to combine. 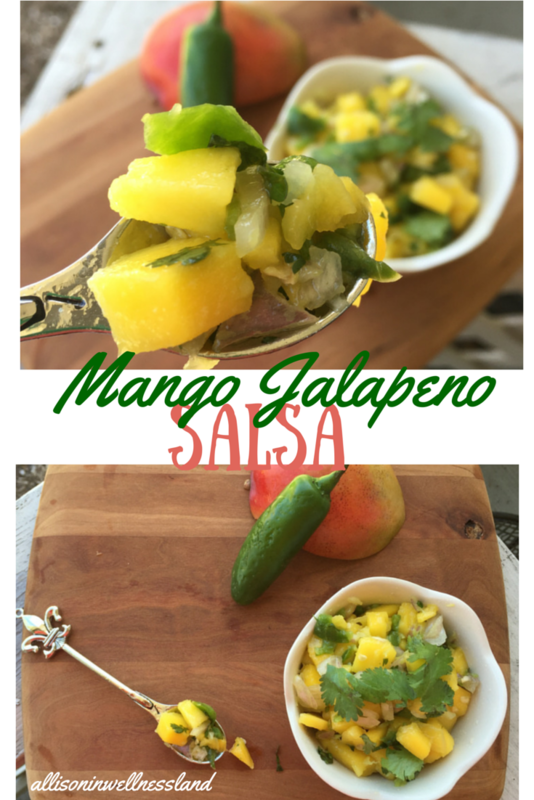 We enjoyed this salsa on top of some grilled chicken breasts & turkey burgers. It was a great addition and pop of flavor to bring some summery fresh flavor to the meal. Plus I felt extra fancy having fresh mangos! This would also be delicious on a salad. Hope you all enjoy this as much as we do!! 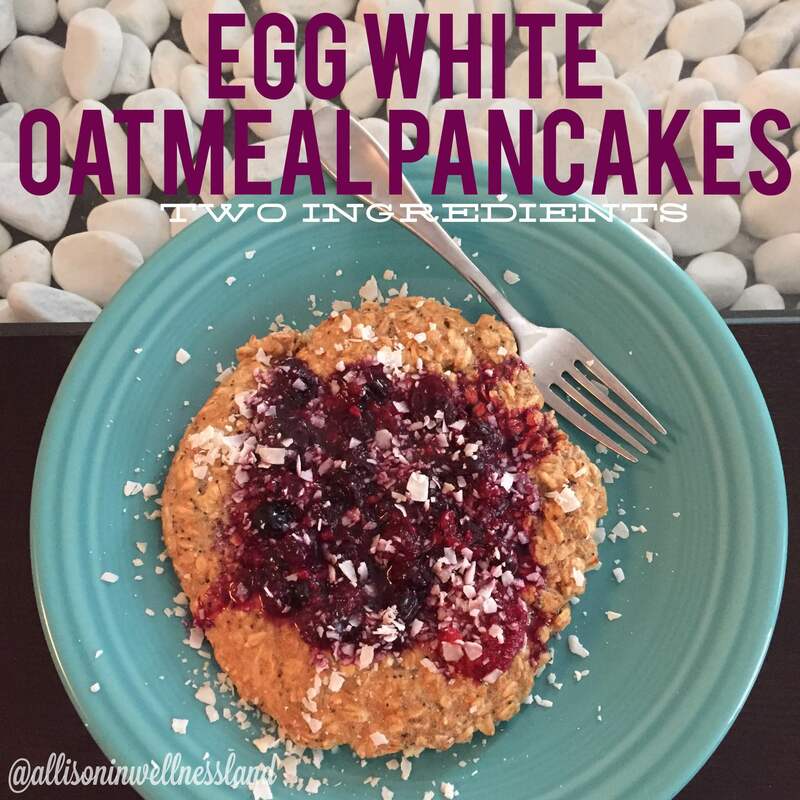 These egg white oatmeal pancakes are simple, easy & delicious, with only 2 ingredients they are easy to customize and make your own. Cooking in under 5 minutes make them perfect for any busy morning! I love Fridays, there is something wonderful about knowing another week is done and there are a few days away from the reality of work. This weekend I have some bittersweet feelings about the weekend since it is supposed to be a gorgeous one here in Chicagoland and I will be inside a classroom for 8 hours both Saturday & Sunday. Lets chat about some of my favorite things this Friday… I promise there is a delicious recipe at the bottom of this post. I am still loving looking at pictures of my sweet baby J. I have shared the pictures with some of my patients throughout the week and I swear I cannot get over the sweetness of this beautiful little pumpkin. I have been loving our workouts lately. 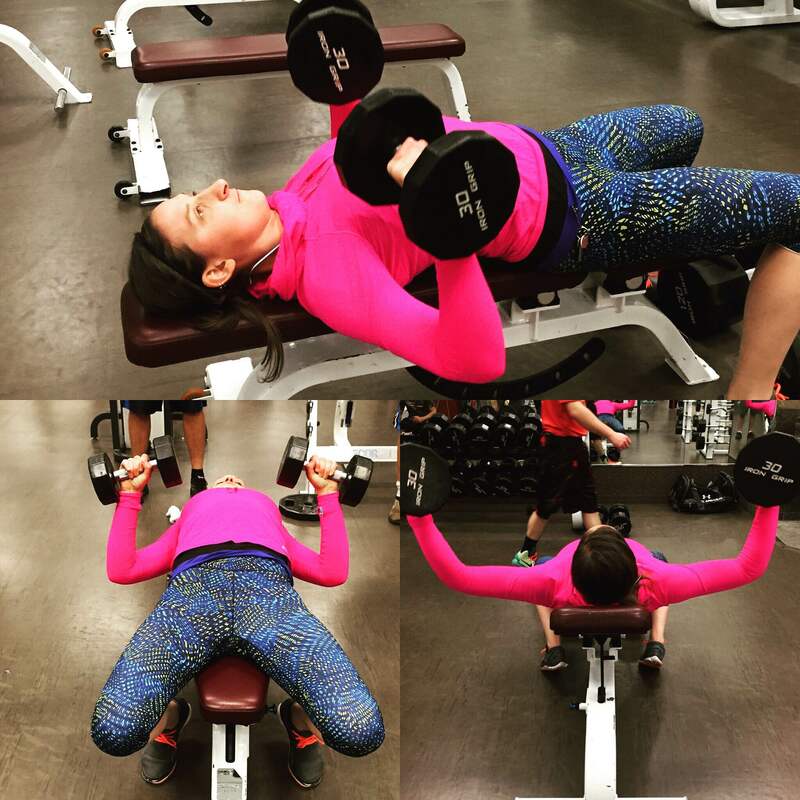 Brent & I have been lifting together and focusing on pure strength training. I have not done strict strength training in a long time, it has been mostly strength+cardio+core all mashed into one awesome workout, so it has been a nice change of pace to work on isolated muscle strength. Its always nice to see the weight on the bar increase. Brent has been determined to “fix” my bench press and increase my chest strength and I am finally getting better and more consistent with my form. For some reason chest is one of the body parts I have a lot of difficulty with. Making a pact! Brent & I decided on Wednesday night that we would be giving up sweets until the week of our wedding. Lately we have been indulging on sweets whenever we go to the store. Its like the bakery & cookie aisle call our name and force us to buy something delicious. 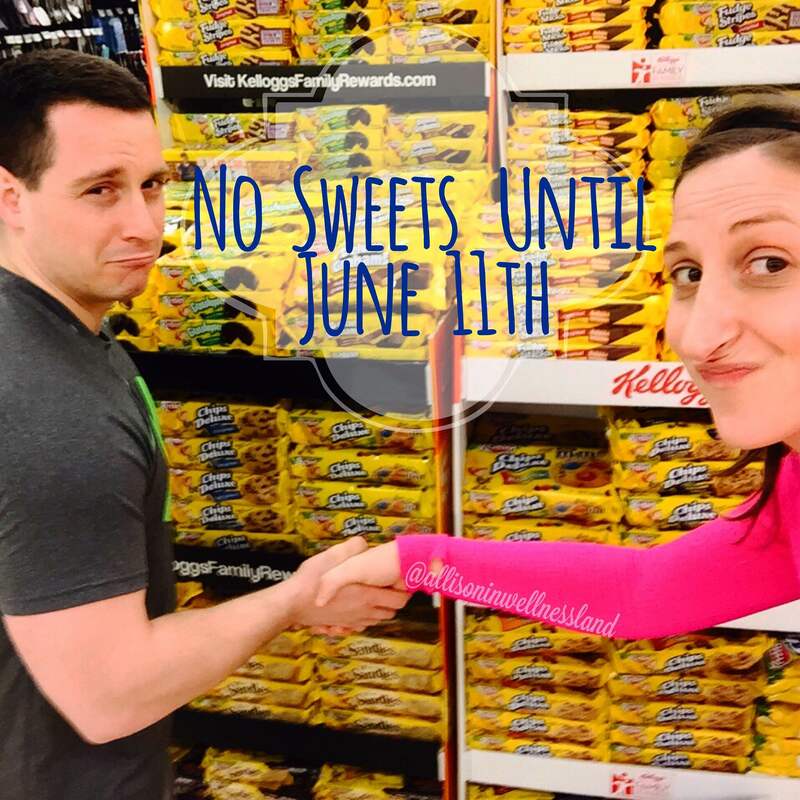 So when we were at the store on Wednesday we promised each other that until June 11th we would decrease our excessive sugar intake and keep it clean. A handshake in front of the cookies…a definite must! I also have been LOVING egg white oat pancakes in the morning. Like seriously LOVING them. I have made a pancake every morning this week and they still aren’t old. Likely because they are so easy to make and seriously delicious. I posted a picture on instagram and have gotten a few requests for the recipe so I thought it was worth sharing here, even though it’s seriously so simple it doesn’t even require a recipe. I got the idea from Julie but have been making it my own with all the mix-in’s and toppings that I like. Some days I keep it simple and just add some honey to the top and some days I get crazy and mix some protein powder in the mix. Most days it has been frozen fruit and/or coconut flakes. YUM!!! Hope you all have a wonderful end of your week and enjoy the weekend. Please go out and enjoy the warm weather for me! WOOHOO My friend Lindsay is hosting her 7th Pin It Party!!! An awesome way to spruce up your pinterest board with recipes, workouts and so much more! 1. Chocolate Almond Date Bites — these are amazing and the perfect energy treat to power your day! 2. Cranberry Orange Granola – a delicious treat and a nutritious breakfast that is filled with amazing flavors and is super easy to make! 3. Hemp Seed Pumpkin Energy Balls — go to the store NOW and get yourself some hemp seeds, these bad boys will not disappoint the nutrition label alone makes them amazing but in these little bites you definitely won’t be upset! 4. 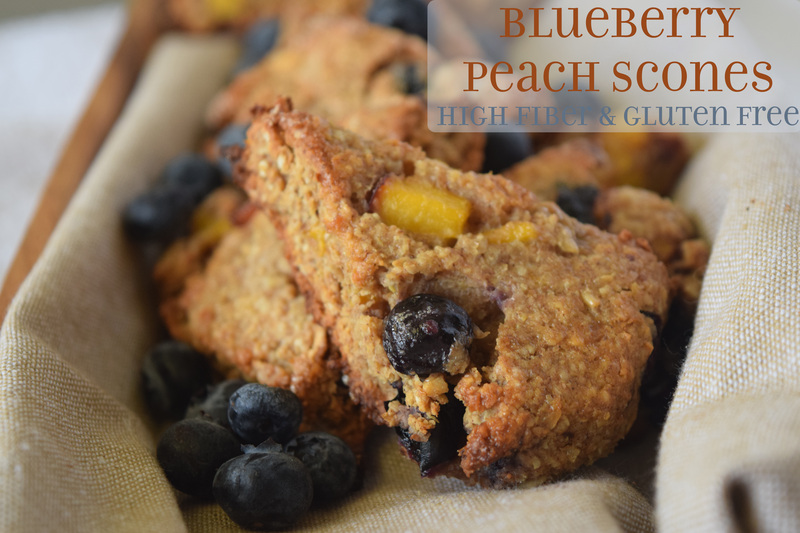 Flax Power Scones – These have been calling my name, a GREAT hearty breakfast treat that won’t leave you craving the heavy milk or butter! 5. How to Sunday Food Prep – easy steps to make your week a bit more healthy and nutritious without all the extra mess and fuss. Spend some time on sunday getting your prep on! 1. Slam Ball Finisher – A serious heart pumping workout that will leave you feeling amazing at the end of a lifting session. Hit this one after a shoulder or arm lifting workout for a whole body burn! 2. DIY Hair Ties – Save some cash and make your own amazing hair ties to keep your mane at bay during your awesome workouts! 3. Totally Tabata Workout – Get fitness on with this amazing workout that will keep you moving through the whole thing! 4. Pure Michigan Pyramid – Find a friend and head to the beach, or outside, and do this amazing pyramid workout that was inspired by the beaches of Lake Michigan! 5. TRX Tabata – get your timer out and be ready to work your whole body during this TRX workout. Hope you found something you wanted to pin, make sure you follow me on Pinterest too! 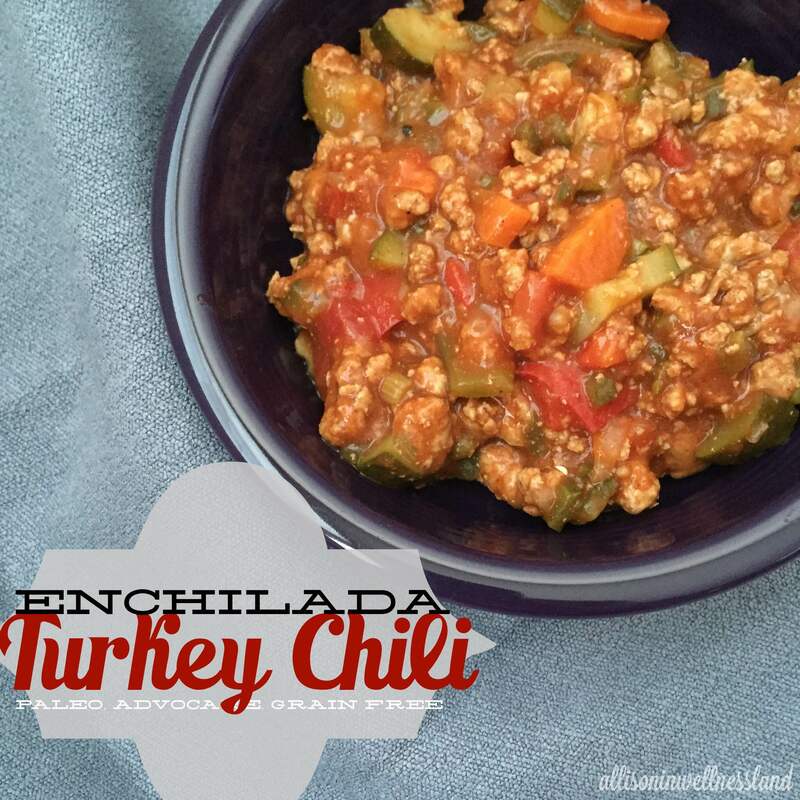 This enchilada turkey chili gives you a taste of an enchilada while filling you up with all the vegetables and flavors you won’t miss the cheese or tortilla! 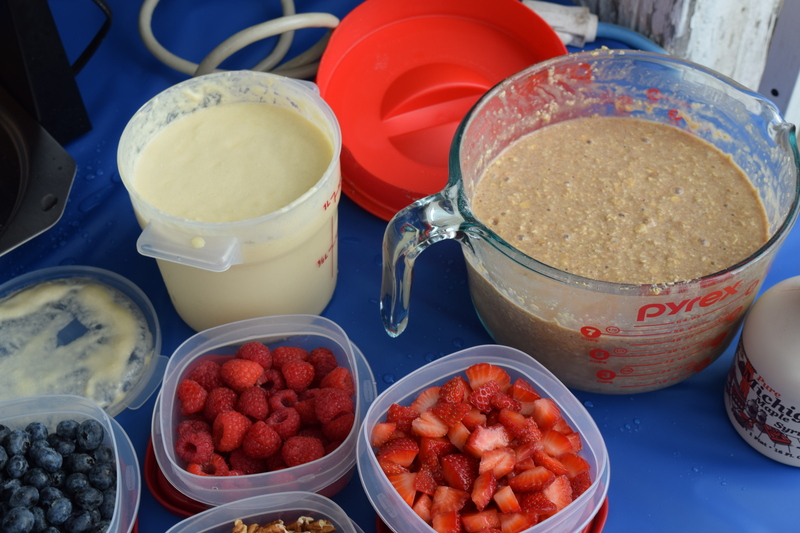 On Sunday when we hit the grocery store I knew I wanted to be able to make a big batch of something that wouldn’t take a lot of work and we could eat all week. With the weather continuing to be super cold I decided a very veggie heavy chili sounded amazing. I had some enchilada sauce in the fridge leftover from my last chicken enchilada bake (SO GOOD) and wanted to use that up, so when we were at the grocery store I went off that. I really couldn’t tell you if this was going to turn out any good at all, but I just started throwing all the bits & bobs in the pot and hoped for the best. I knew it would be edible, just wasn’t sure if it would be shareable, you know one of those blogger meals that just don’t make it beyond the kitchen onto instagram 😉 Thankfully it was/is shareable and delicious! I had intentions of topping this chili with some avocado but the avocado this week was $1.50 EACH and this wedding-budget sister won’t pay that much for her beloved avocados. So if you have an avocado chop it up and throw it in, I bet it will be delicious! Need another reason to try this recipe??? Well it is Paleo, Advocare 24 Day Challenge approved & grain-free! So if you follow any of these this chili is for you! 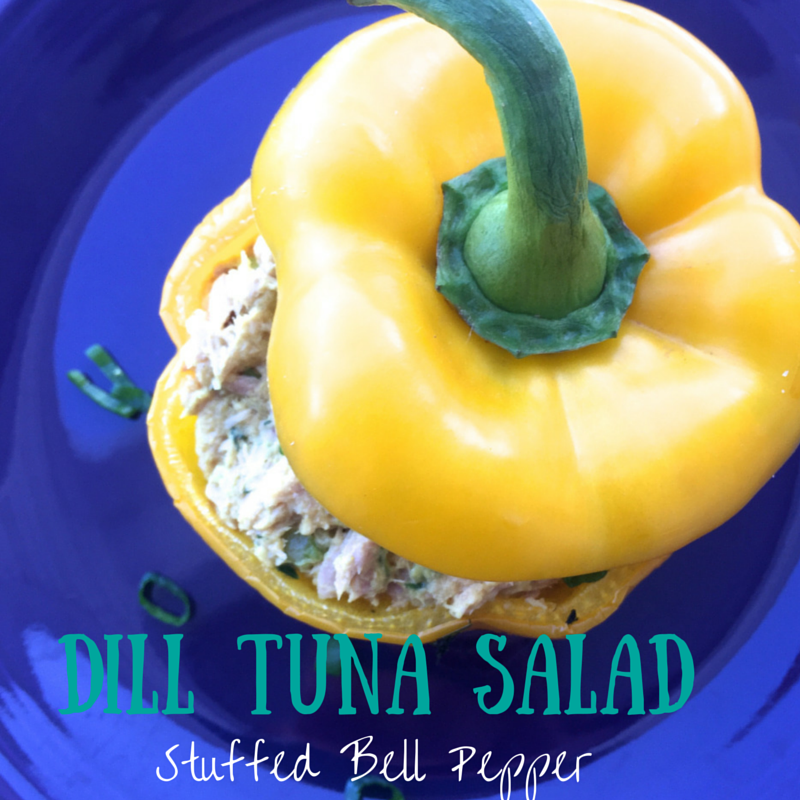 This Dill Tuna Salad is a simple & delicious twist on the old school classic, packaged in the prettiest natural bowl of a Bell Pepper. I hope you all are having a great week. It has been a bit of a crazy one over here, which would be why I have been MIA the last few days. Brent & I are gearing up for a bunch of busy weekends ahead, so on Saturday when we hit the grocery store I had one goal in mind. Fast, Easy & Healthy meals that I can prep stress free. Since we will be driving to Michigan and back for the next three weekends in a row I wanted to make an easy meal plan that got all our fruits, veggies & protein without having to slave in the kitchen for hours, or break the bank. Sometimes I find that “fancy” recipes are very time consuming and involve buying extra ingredients that we wouldn’t normally buy. By keeping things simple and enjoying foods that we are used to eating I hope to keep my Sunday travel anxiety at bay! 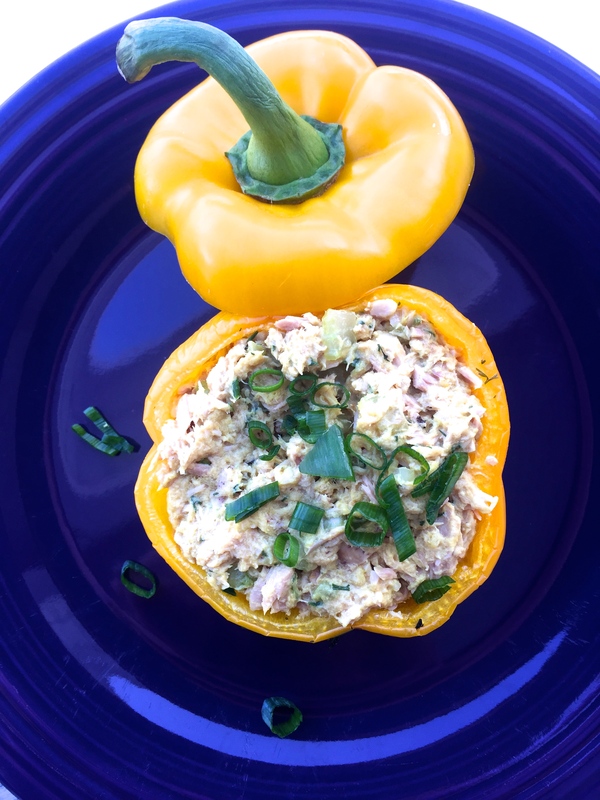 On my list… Tuna Salad. I have been loving tuna lately and since we went on a bit of a hiatus it has been a nice addition to our diet. Last week our tuna consumption was pretty boring so I spiced it up this week with some dill, mustard and fresh veggies before packaging it in these sweet bell peppers for a super cute presentation! 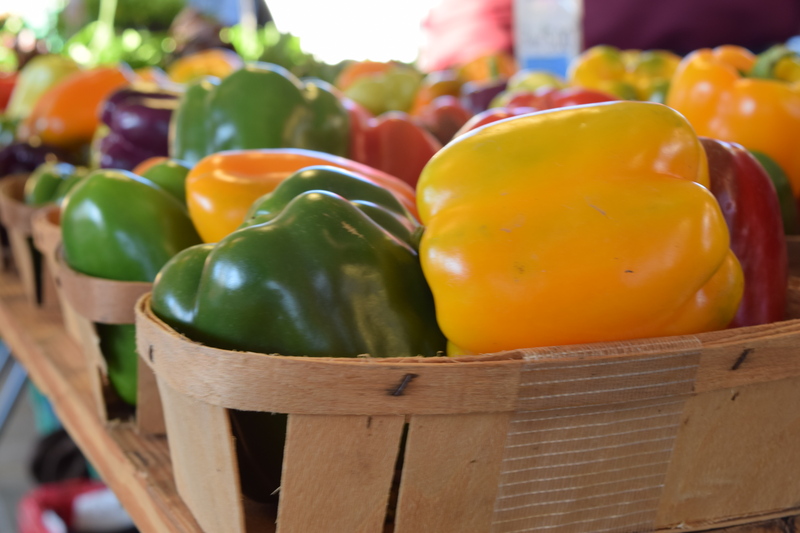 I have been enjoying a pepper for lunch with the addition of a salad or sautéed veggies. 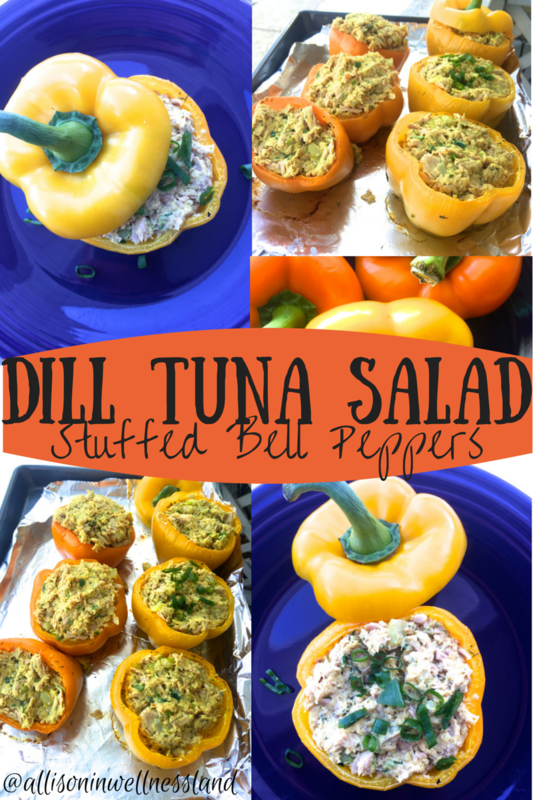 Since the peppers are not super huge and are less than 200 calories each they work well as a midday snack too! These could easily be modified to any spices and herbs that you have on hand and continue to be delicious! 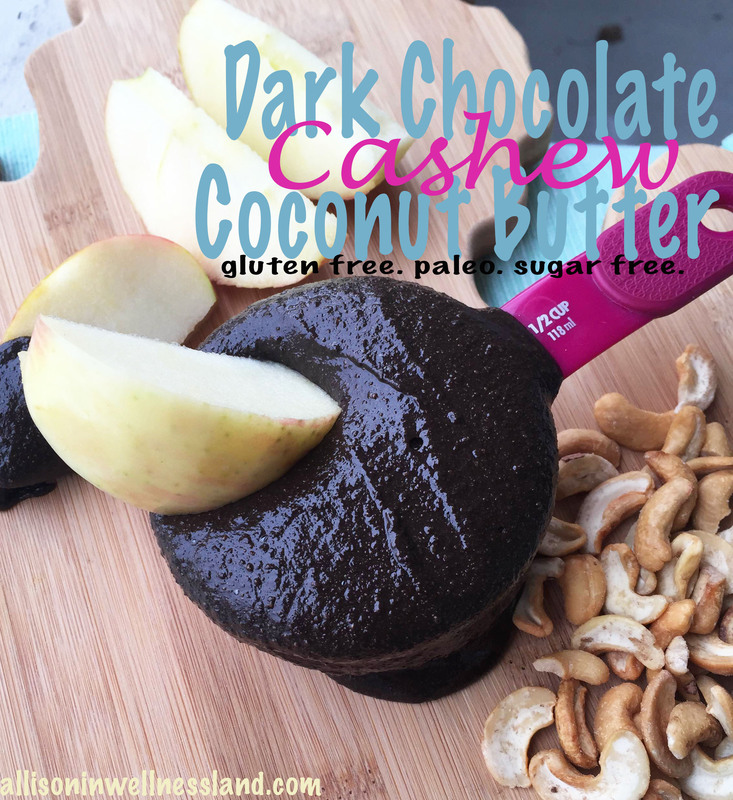 This Dark Chocolate Cashew Coconut Butter is rich & nutty with the sweet balance from the coconut that will leave you licking the spoon. Oh and did I mention its Gluten free, Sugar Free, AdvoCare & Paleo Friendly?! Alright kids I have another tasty treat for you guys! I swear the past week I have been loving the blender and blending up some tasty, healthy, sin-less treats! 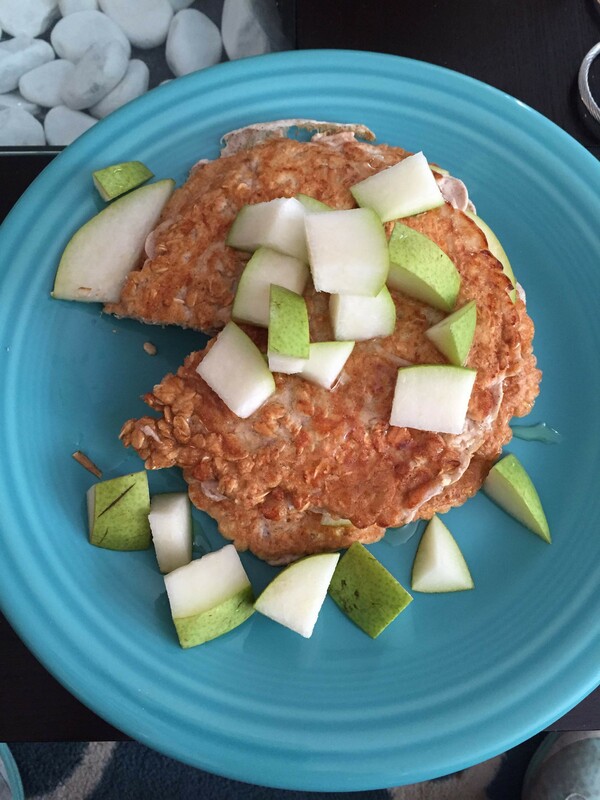 On Saturday Brent & I spent the morning in a marriage prep course and when we got home I was really craving an apple with some peanut butter, but I knew peanut butter wasn’t on our Whole30 challenge guide and we were trying to avoid high fat foods. PLUS peanut butter triggers my cravings for more peanut butter and more of everything is never a good thing. I decided to try my hand at making my own nut butter. I have seen soooooooo many homemade nut butter recipes lately which look tantalizingly easy to make that I knew I had to try it myself. With Brent’s watchful eye I broke out my Ninja blender, dug out some cashews, flax seed & dark chocolate cocoa powder and went to work. 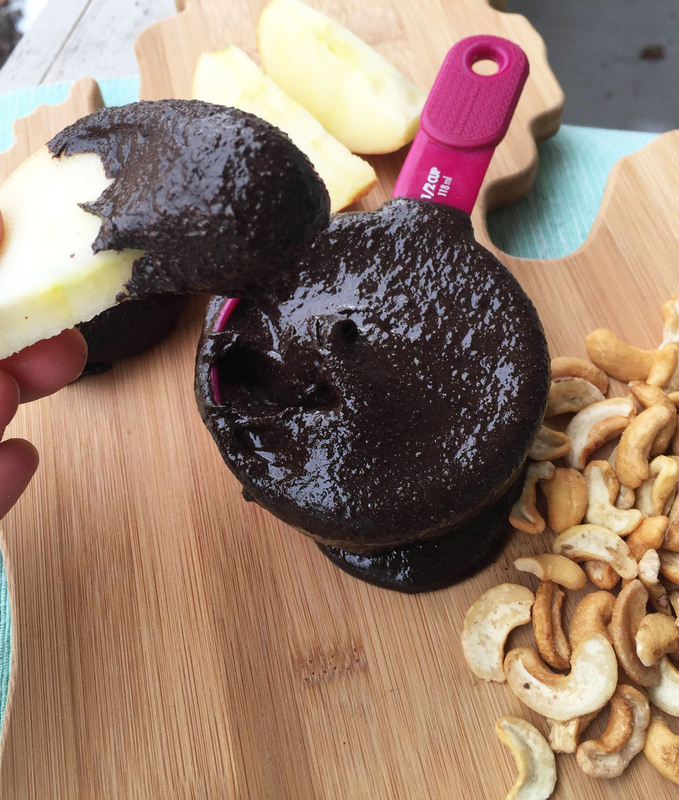 I pulsed, blended, scraped down, pulsed, blended, scraped… repeated this process a handful of times until the cashews started to form a nut butter consistency. I then added in some melted coconut oil to help the nuts get moving, this was the golden ticket! That coconut oil made everything smooth and pretty!! I added a bit of cinnamon & cayenne to pump up the flavor even more… and boom… my first nut butter was made! Now I will say that the coconut oil that we used (Organic Coconut Oil from COSTCO) has a very distinct coconut flavor so this cashew butter was more of a coconut cashew butter than a pure nut butter & it was 100x better the next day after the flavors melded than right away when we were attacking it with a delicious honeycrisp! Go break out your blender or food processor and made this delicious nut butter spread now! It requires a little time but you can make your nut butter and eat it too in less than 15 minutes!